Two people were killed after a logging train derailed on north Vancouver Island Thursday morning. Three others were seriously injured and remain in hospital. 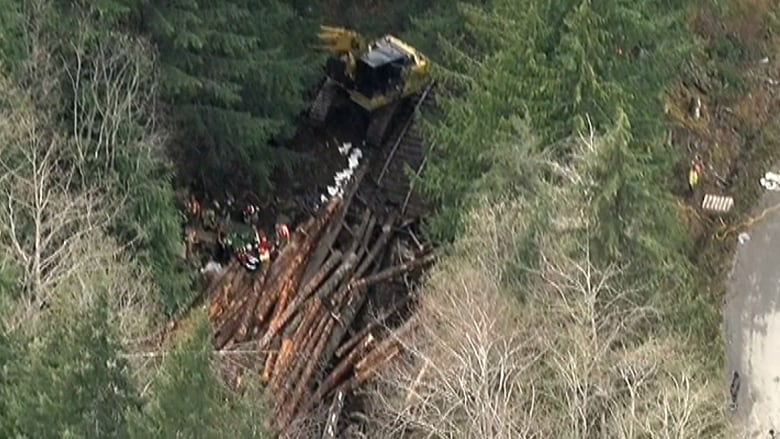 Two people are dead after a logging train derailed on north Vancouver Island at 8:45 Thursday morning. One person is in critical condition in hospital and two others remain in serious condition. It happened in the tiny community of Woss, between Port McNeill and Campbell River. The BC Coroners Service, RCMP and WorkSafeBC are all investigating the cause of the derailment. 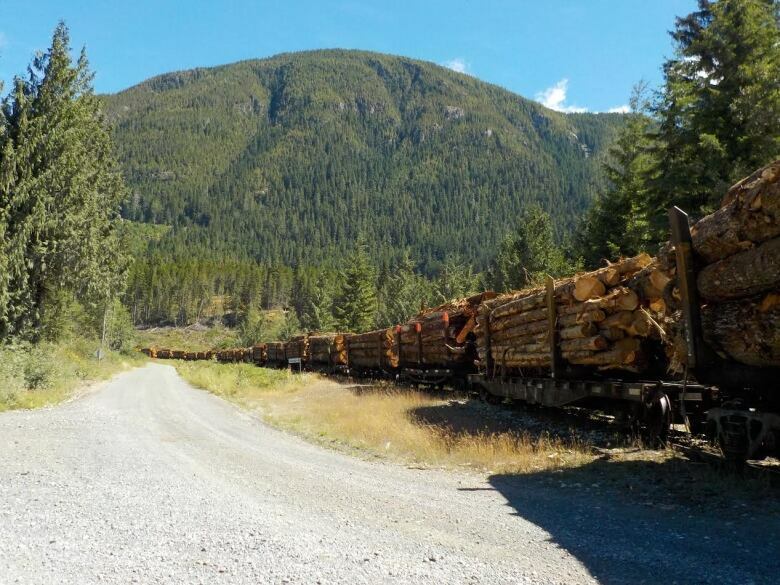 WorkSafeBC says it received a report Thursday morning of workers pinned under logs. 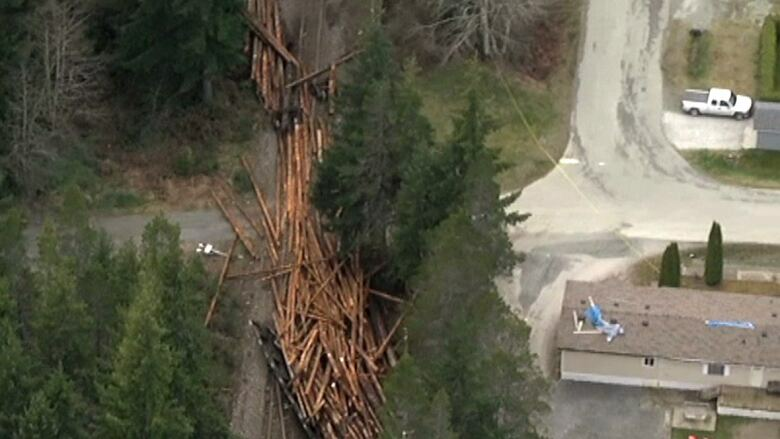 In this image broadcast by CHEK News, logs spill onto the Englewood Railway track in Woss. Western Forest Products confirmed its personnel and materials were being transported on the Englewood Railway train when it derailed. The train is used for logging operations on the north Island. In a statement, the company expressed its condolences for the families of those involved in the incident. "The safety and security of our staff and the communities where we work are paramount," the statement said. "We are co-operating fully with all authorities and will continue to do so." Local area director David Rushton said it's a tough day for the community of only a couple hundred people. First responders and RCMP victim services remained on the scene Thursday afternoon.